I had been working non-stop for 12 hours. My brain was quickly approaching the point where it would fry and I was desperate for a remedy: something to distract me for a couple of hours to let me cool down. Since it was midweek, it seemed to be a bad idea to sweep a bottle of wine. The following headache would no doubt be as bad as having your brain fried. So I settled for my second idea to catch the last screening of the night at the multiplex theatre, which turned out to be Django Unchained. Normally it wouldn’t have been my first choice. I had a vague idea that I should see it “because everyone else will see it”, so I could participate in the discussions in the film blogosphere. But wasn’t a Tarantino devotee and the trailer hadn’t made me overly excited about it. It seemed to try to be funny, but I didn’t laugh. Western, comedy an excessive killing sounded like a bad combination for me. But as things were now, I couldn’t be picky. Anything would do as long as it could serve as a transportation device into another world. It was with low expectations that I entered the theatre, more out of need than of lust. And as you know, there’s nothing that makes a movie better than approaching it with a healthy amount of scepticism. I had hesitated at the hefty runtime, almost three hours. Could my attention possibly be kept for that long? It turned out that it could. I didn’t check my watch a single time and when I left the theatre around midnight, I was admittedly tired, but in a better way. It was as if all that blood splashing over the screen had cleansed my system from any stress residue from the day. My mind was completely reset and I was ready for a good night’s sleep. 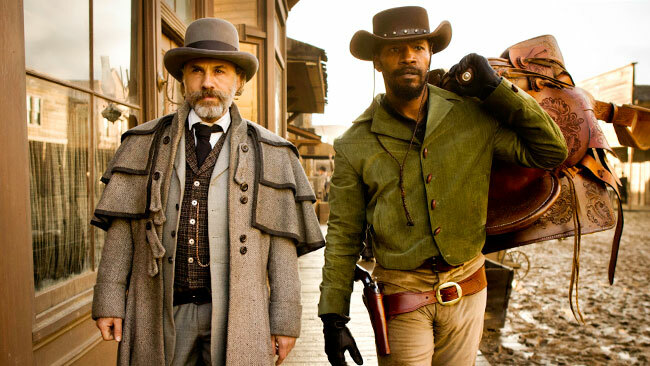 I’m not sure I would have loved Django Unchained as much as I did if I had watched it another night. But right there, in that moment, it was a perfect match. And best of all: I’ve got almost the entire Tarantino back catalogue to catch up with. Until this point I had only seen Pulp Fiction. Jessica, you have quite the enjoyable task in front of you, catching up with Taratino’s back catalog! Enjoy…and if I can suggest your next movie, try Jackie Brown, which is my all-time favorite Tarantino….I just love me some Pam Grier and Robert Forster!! Nice post. Didn’t love this film but really enjoyed it. Huge Tarantino fan here. Kill Bill is actually my favorite movie, so I would definitely recommend that. I noticed it’s up on Netflix in Sweden,so I really don’t have any excuse not to see it. Please do. And let me know what you thought. Still have not been able to see this one myself, but looking forward to checking it out. Interested to see what you think of the other Tarantino movies. btw, I don’t know if you have seen my new post already, but I’m interviewing Paul Verhoeven on Monday. If you have any question you would like to ask, just let me know. I noticed! I don’t know how you get to do all those things… What to ask? I checked on IMDb and it seems as if he has returned to make movies in Netherlands after his Hollywood career. What does he make of the differences between making films in Europe and in LA? There are some interesting obserations in that interview, but I think there should be room for more extrapolation about the differences between European and US cinema. High expectations can be a killer of enjoyment. Really liked this film. Waltz is excellent. The film is far too long & very violent but along with the great soundtrack it’s a very good watch. It’s a little on the long side, but I was in no hurry to get out of the theatre – I needed that time to wind down. Another night I might have felt differently though. Love your posts like this, Jessica. 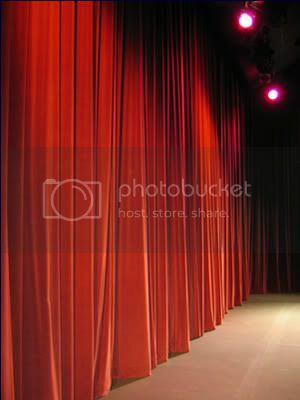 You do such a great job capturing the magic of going to the cinema, the way it alters our moods. I never find Tarantino trailers interesting either and that’s because I think he’s one of the few people left who actually holds back his best material in the trailer. Which I really appreciate. I agree with you. First five minutes are crucial. Mostly you just sit through the introduction of the movie without paying much attention, but Django has caught mine just like that – with a snap of my fingers. I don’t like all Tarantino’s favorite features like long dialogues in which you start loosing the point, but Django was so far one of his best. But I also strongly recommend revisiting his older work. I definitely have to do that. I remember that I liked Pulp Fiction a lot, but I don’t remember a thing of the actual film. And that’s about all I’ve seen. I’ve got a LOT to catch up with. Glad to hear you liked it Jessica. It was a great film. Like you I wasn’t over excited after seeing the trailer but the film itself contained so much more. You have many treats awaiting you in Tarantino’s catalogue. My recommendation would be Jackie Brown. But instead, I will just congratulate and awe you for the good, love-for-movie-making-concentrated-in-film-form you have to dive in to in the (i hope) near future. Do not expect to much, but get ready for some of the film making historys most passionate ADHD nerd moments! I have a huge gap in my movie watching from 1992 when my oldest daughter was born to pretty recently. But now I’m in a point in life when I have time to catch up. Tarantino is one of those on the to-wach-list. Looking forward to Kill Bill III. As for Django, it pairs nicely with Inglorious Basterds.